Disclosure: I was given several of these products for review. All opinions are my own. Traveling with kids can be a joy with the right preparation, activities, and gear. Unfortunately, many items marketed towards children break easily, are poorly constructed, and don’t stand the test of time. In order to truly serve their purpose, kids travel items need to be innovative, address the specific needs of the younger consumer and be made from high-quality materials and construction. If you are wondering how to travel with kids successfully, start with these essential kids travel items. Little feet get tired easily, which can hinder travel plans that have time constraints. Flights don’t wait for a tired toddler, and rushing through the airport with a child dragging their feet can truly set a tough tone for your trip. 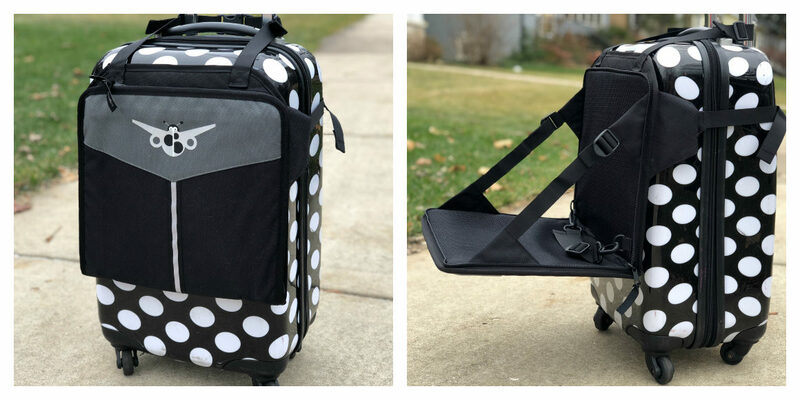 Lugabug is a compact child’s seat that attaches to rolling luggage, providing a “snug seat for tired feet.” I have seen many parents roll through the airport with bulky strollers, folding and unfolding to go through security, visit restaurants and pop in restrooms. Lugabug is doesn’t take up extra space- it is slim, lightweight, and folds away for storage in addition to providing an extra external pocket on your suitcase. This genius kids travel item is intended for children ages 2 and up, with a weight limit of 60 lbs. So many children’s headphone sets allow the volume level to reach dangerous decibels. 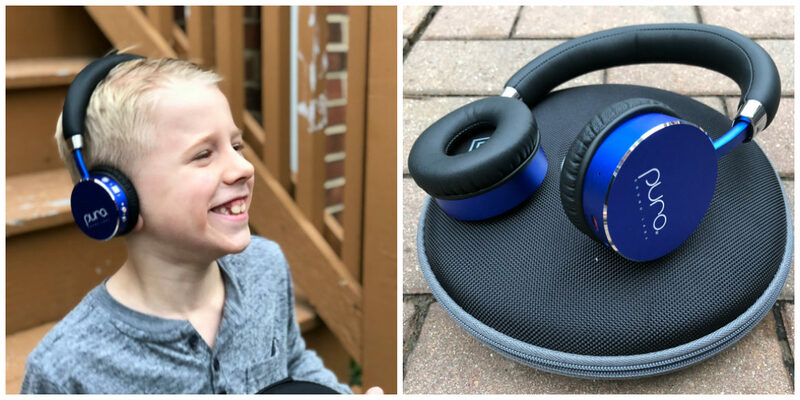 Eighty-five decibels is considered a safe limit, but many noise cancelling headphones for kids that supposedly limit volume don’t truly get the job done. In a study conducted by The Wirecutter, 37 of the top headsets designed for children were tested for 63 hours over a few days. Up to one out of every three sets exceeded that 85 dB threshold. The set that came out on top is by Puro, specifically the BT2200. When traveling on an airplane, hydration levels of the cabin air drop significantly. Since fresh oxygen has to be provided to passengers, air from outside is pumped inside. Unfortunately, the humidity levels of air at 35,000 feet tend to be only 10-20%. Average humidity levels on the ground are 30-60% so our bodies aren’t used to the low levels that air travel introduces. Dehydration can cause lightheadedness, dizziness, irritability, and low energy levels. This doesn’t sound like an ideal situation for children, does it? This is why staying hydrated is imperative for little ones during travel. With liquid restrictions on airlines, bringing your own bottle of water through security is impossible. I have tried to pack a water bottle in my children’s carry on but they take up almost half of their backpack! 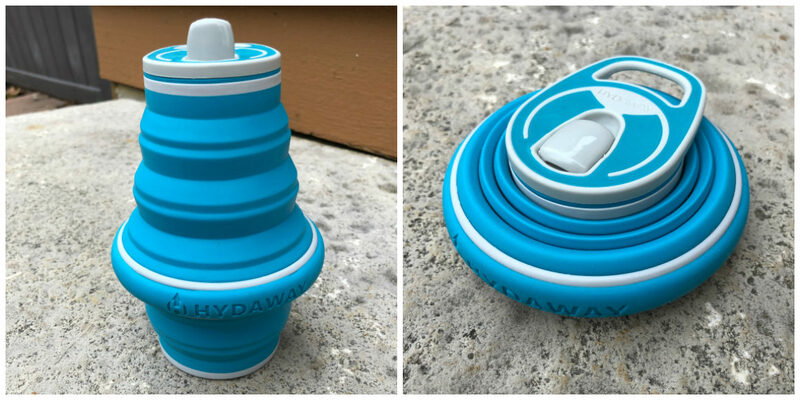 I discovered the Hydaway Water Bottle which is ultra-portable, collapsing to a 1.5-inch profile. It is made from food-grade silicone and BPA-free plastic and features a wide mouth opening for popping in the dishwasher or sudsing up by hand. This kids travel item features a kid-friendly flip-up spout lid and leak-proof design. There is a handle for carrying, or you can add a carabiner and clip to your bag. There is also an Earth-print travel case available for those that want to keep the bottle clean and safe. How many times when traveling have you needed to entertain your kids with a moment’s notice? While waiting at the ticketing counter? Standing by for a flight? My kids are the type that spread their toys out in a radical radius, scattering Legos near and far in order to create the perfect play landscape. Unfortunately, this doesn’t bode well for quick clean up. 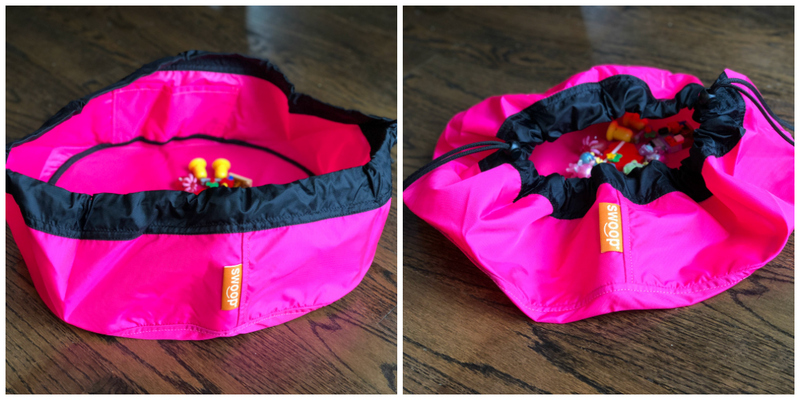 If you want to take toys from the hotel room to the beach, park, airport or car, Swoop Bags make even the tiniest pieces portable in a second. I have purchased similar-looking play mats that have broken or ripped within a few uses, but Swoop Bags are incredibly durable and strong. They are both a play mat and toy bag in one which features a 6″ edge piece to contain small toys. Made in the USA, Swoop Bags can be used for more than just toys. How about a picnic lunch with the blanket built in? An art mat for the masterpieces that your child wants to create combined with a bag for brushes, markers, crayons, and paper? And if I am being completely honest, I can see myself using the mini bag as a makeup tote. Wow! These all look amazing and I’ve only seen the water bottle before. 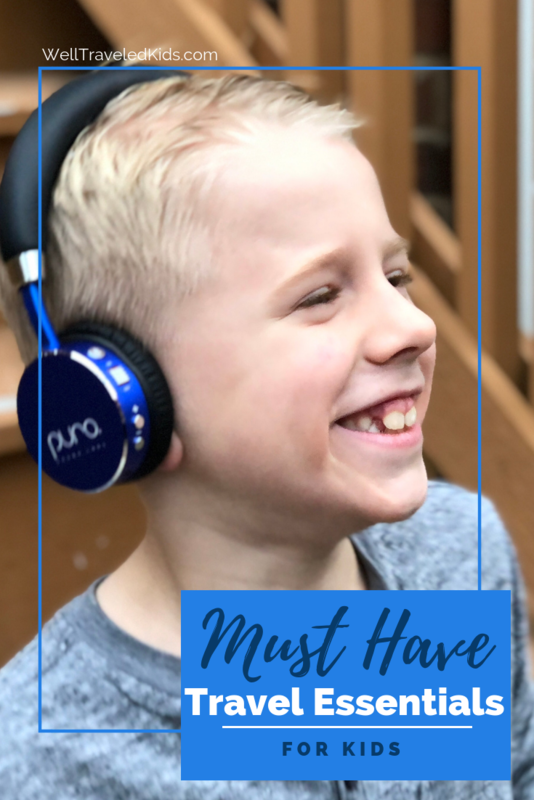 I think the one I am most excited to see is the headphones because my son has a cheap set that barely work on a plane because while the decibel is limited, it doesn’t block out the ambient plane sounds so it’s hard to hear anything at all. You have thought of everything. Amazing! The headphones and water bottle would be great for my older kids. We are all about music so the headphones would be a great item to add to our travels. You’re the bomb mom! Love all your ideas. I really love the headphones! I get tired of listening to “Jenny” on YouTube! Merry Christmas!